The National Zoo's panda cub has experienced a lot in her four months of life: She weathered a government shutdown, learned to walk, received her name -- Bao Bao -- during a ceremony, and cast her eyes upon Hugh Jackman. Her next big milestone coming up: Bao Bao will make her debut to the public on Jan. 18. The amount of time Bao Bao and her mom, Mei Xiang, will be on exhibit will depend on their behavior each day, the zoo said. "In the first few weeks they may not be on exhibit for long periods of time; they will spend more time on exhibit as Bao Bao gets older," the zoo said in a release Wednesday. "They will also have access to the den, where Bao Bao has spent much of the past few months, and may choose to spend time in it instead of in public viewing areas." 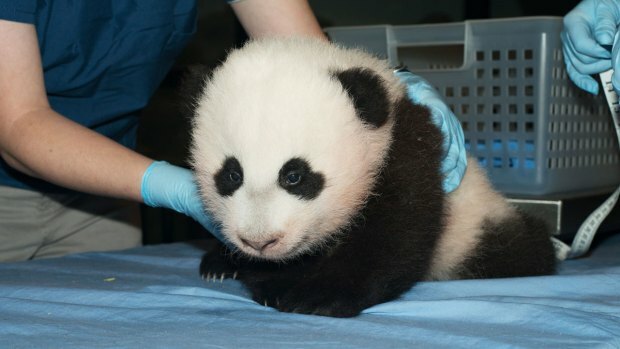 Panda Cub Is Three Months Old! If you're a members of the Friends of the National Zoo, you'll get the chance to see her even earlier, at the David M. Rubenstein Family Giant Panda Habitat between Jan. 11 and Jan. 17. Bao Bao, who was born unexpectedly Aug. 23, now weighs more than 13 pounds and is teething, the zoo said in an update Monday. 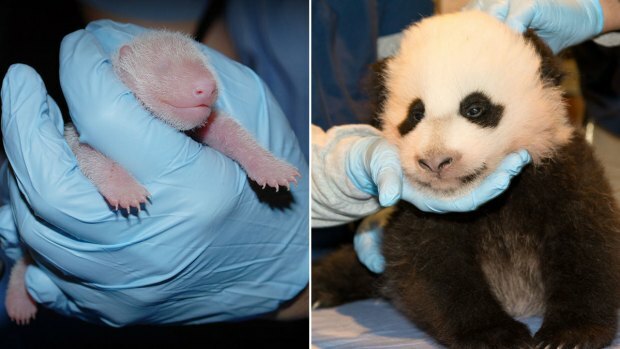 Zoo's Panda Cub: See How She's Grown! Keepers are also beginning to lay the groundwork for training, by rewarding her for moving or looking at them when they interact with her. "Right now her reward is a tiny evergreen branch or a tiny piece of bamboo to play with, but when she gets older she will get small treats for choosing to participate," the zoo said.